The modern lives rest on the lap of science and latest technologies. The use of technologies has increased the popularity of smartphones and personal computers. In this competitive world each and every organization is trying its bit to create a presence in the minds of its targeted customers. Developing a mobile friendly website plays a key role in influencing the display of search results on Google. The main idea behind this is to facilitate the users avail their requirements in a hassle free and convenient manner. The trend of mobile searches has gone up in recent times. Due to this increase the search listings are ranked by Google by depending on the websites’ mobile versions. Now a days, organizations tend to strengthen their presence for mobile devices as mobile traffic can reflect intense positive influence on your business. Websites for both mobiles and desktops can be developed by a website development company. Website design for mobile has become the cry of the day owing to the huge popularity of its usages and acceptabilities. Given below are some of the mistakes which you should avoid to ensure attraction and retention of potential customers. If you fail to avoid these then your business will suffer stagnation or loss amidst fierce competition. Keep your URL Singular and Make it Responsive: If you use separate URL’s for mobiles and desktops then you may land up in creating unnecessary confusions for your end customers. Instead you should try out a responsive website which has dynamic layouts for making it adjustable in accordance with the dimensions of the devices. If the outlook of the website is uniform in its look and feel then it becomes easy to use. Moreover it can also contribute in ensuring improved and better user experience. 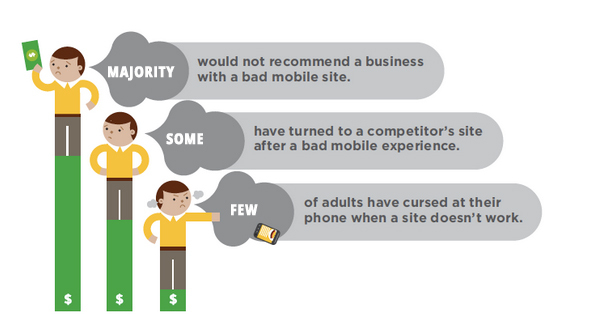 Mobile Friendly: The mobile site enables the potential customers to fetch information instantly and easily. To enhance the reach of your mobile friendly website you need to carry out a detailed research of the layouts that are preferred by the targeted audiences. Else you can run the Google Mobile-Friendly Test to assess the suitable guidelines. This test will help you to analyze the requisite tools to re-check the website and identify the changes that are needed. The website for mobile version should have an integrated common software, links placed for quick tapping, adjustable contents to avoid zooming and contain display of readable text. The input of viable content and coordination of research will help in enhancing the experience of the audience. Reduce Annoyance of Visitors: You have to ensure that the load timing of the website for your mobile should be less time consuming. According to some research findings it has been observed that 29 percent of the users tend to shift to other websites if they find the access slow or sluggish. Quick downloading actually helps in boosting the visibility by 25 percent along with increasing the ad revenue. According to AirG Review the annoyance of the visitors caused by the slow download can lower the ranks of a website. Some vital things considered in curbing the annoyance are optimized images, server response time and browser caching. Prevent Monotony: You can add up rich snippets which will enrich the content of your website by providing additional chunks of information. You can make your website authentic and interesting by displays in the form of author information, pricing and images and star ratings. If you can make your content attractive then with Google recommendations you will get success in getting more reviews and clicks. Non-playable Content is Not Acceptable: Sometimes you can see that gif images or videos are not playable on smartphones. Content that asks for Flash Player may not always be supported on mobile devices. It can seriously irritate the users. They can switch to alternate webpage if the formats are unsupported. HTML5 standard tags can be tried rather than using the unsupportive formats. Transcript with a video can be an icing on the top. This will make the site accessible to those who work on browsers that do not support proprietary format. For the purpose of animation you can HTML5 animations as it is compatible across all browsers. Surfing mobile web is growing by leaps and bounds. You have to make a move keeping in mind the ranking preferences by Google. You have to keep the recommendation from Google as your top priority. 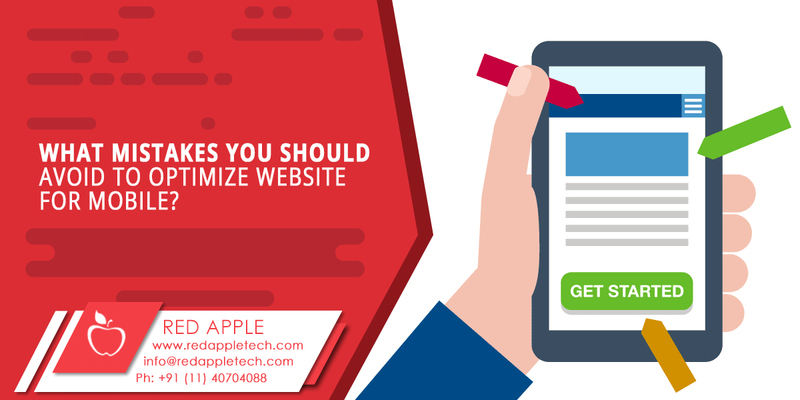 You have to ensure that your mobile site should be enjoyable and easy for the users.